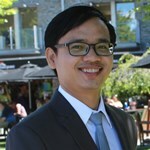 Seiha Heng is a Research Fellow at the Cambodia Development Resource Institute (CDRI) in Phnom Penh, Cambodia. Seiha is working on two research projects for ESID: ‘The political economy of growth in Cambodia’; and ‘The political settlement and social provisioning in Cambodia’. His wider research interests include democratic decentralisation; youth and politics; and political settlements theory. Kelsall, T. and Heng, S. (2014). ‘The political economy of inclusive healthcare in Cambodia’, ESID Working Paper No. 43. Kelsall, T. and Heng, S. (2014). ‘The political settlement and economic growth in Cambodia’, ESID Working Paper No. 37. Seiha previously worked with the Urban Institute (USA), and as a national consultant to the National Committee for Sub-National Democratic Development (NCDD) at the Ministry of Interior, Cambodia, to formulate the 10-Year (2010-2019) National Program for Sub-National Democratic Development.